Below is a comprehensive list of all the Lotus models, from the 1948 Mark 1. Modified 1930 Austin 7 Trials car. 747cc engine. Registered PK 3493, the car is missing. Trials cars, dimensionally smaller than the Mark 1. Based on a modified Austin 7 chassis, with a Ford 8 side valve engine. Was later upgraded to a Ford 10 1172cc engine producing 25 - 30 bhp. Circuit car based again on a boxed-in Austin 7 chassis (with cross members) and an aluminum body. The car weighed only 370 kg and had a modified Austin 7 engine, with "siamesed" inlet ports and Stromberg twin choke carburetor, helping produce a 50bhp engine with a 0-50mph in 6.6 seconds. The first car to be designated with a Mark number. Lotus Engineering Company was formed on 1 January 1952. Modified Austin 7 with a boxed-in Austin 7 chassis, with Ford 10 side valve 1172cc engine, with 30-35bhp. Was going to be an Austin engined racing car, based on the Mark 3, for the 750 formula. Project was never undertaken. First car to be made with a Lotus name. 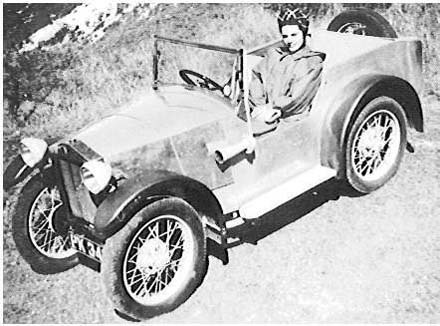 The car had a space frame chassis and aluminum body and a Ford Console side valve engine with 1172cc, later upgrade to 1498cc.First Production car, sold to the public in kit form. The car was successfully raced in the 1500cc class races at Silverstone. Successful light weight sports car, based loosely on the Mark 6, but featuring a stronger space frame (1 inch diameter steel tubing) and paneled in aluminum. Standard engine was a Ford 100E side valve unit producing 28bhp. It was also offered with a BMC A-series engine and Coventry Climax unit. The Lotus was provided in kit car form. Seven S2 1960 - 68 1310(approx) As the S1, but simplified construction, to making the car easier and cheaper to produce. The S2 featured reduced chassis members, simplified aluminum body (no labour intensive double curvature aluminum body panels from S1). Initially the S2 had the Ford 100E side valve unit and BMC A series engine, from the Austin Healey Sprite. However, in 1961 it featured the 105E Ford engine from the Ford Anglia and later the 109E and 116E engines. In 1967 Caterham became the sole distributor of the Seven. Seven S3 1968 - 70 350 The S3 was an attempt to modernise the Seven. It featured the new Ford 225E cross flow engine in 1297cc producing 72 bhp and 1598cc engine producing 84bhp. In 1969 the Lotus Twin-Cam SS was released, featuring a Cosworth modified Holbay Lotus Twin-cam unit and a stronger Chassis. 13 were built. Production of the S3 finished in 1969, however was still sold into 1970..
A 2 seater sports cars, with a space frame chassis, designed with the minimum number of tubes. The aerodynamic alloy body work was designed by Frank Costin, Mike Costin's brother, who was an aerodynamicist at de Havilland Aircraft Co. The prototype car (reg SAR 5) featured a modified MG XPAG engine. The car was batch produced for private order, featuring a strengthened Mark 6 chassis. Car registered HUD 139 was the first to feature a 1100cc Coventry Climax FWA engine and MG TC gear box. A single seater sportscar, similar to the Mark 8, but reduced in length and rear wings. It had a shortened Mark 6 chassis and featured a variety of engines, including the Coventry Climax FWA engine, producing 75 bhp, an MG XPAG unit and the Ford Ten unit. The car was successfully raced in competitions and raced at the 1955 Le Mans. On the Ist January 1955, Colin Chapman worked full time with Lotus (much to his Father's displeasure). 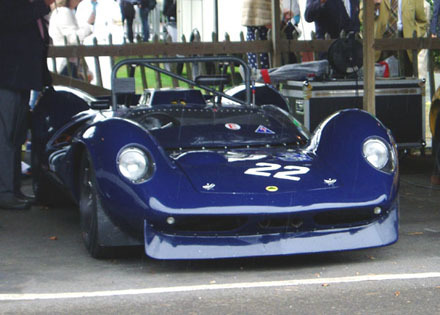 As Type 8, but designed to compete in the 2 litre class races. The Lotus Type 10 had a Bristol 1971cc engine, producing 125bhp. The car had a modified spaceframe, to house the larger engine and disc brakes. Car No:4 was ordered by James Dean, who unfortunately never took possesion. Successful, aerodynamic competition sportcars with light-weight spaceframe chassis, with the propshaft and floor being used as stressed members, forming an integral part of the structural frame. The Eleven had a Coventry Climax FWA or FWB engines or also the Ford side valve engine. There were 3 models, the Le Mans model, with the Climax FWA or FWB engine, the Club model was had the same FWA engine, but with a live rear axle and the Sport model featured the less powerful Ford Side valve engine. The Eleven was very successfully raced at 1100cc racing and virtually invincible. It was also raced at Le Mans in 1956. The Mark's designation was dispensed with. Eleven S2 1957 - 58 104 As S1 with revised lighter suspension with larger wheel arches. Still offered in Le Mans, Club and Sport models. Single seater racing car for the then new Formula 2 races. The car featured the Coventry Climax FPF DOHC engine, with a chassis with square profile tube lower rails and new suspension developed by Colin Chapman, called the "Chapman Strut." Frank Costin designed the body work. Never made because it was an unlucky number! 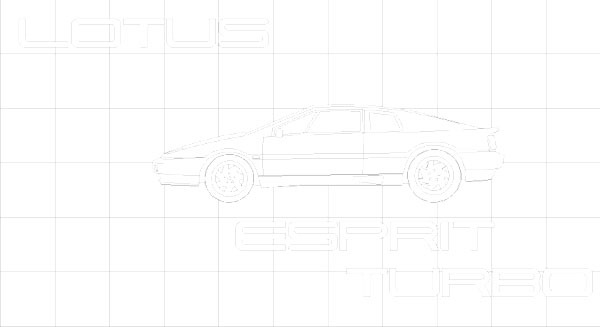 Lotus Elite. Successful 2 seater production sportcars, with 1216cc Coventry Climax FWE engine, fibre glass monocoque and a fibre glass body produced by Maximar Mouldings (a boat building company). The suspension comprised of double wishbones, with combined coil / spring unit. The rear suspension featured the Chapman Strut from the Type 12. Although the Lotus Elite was a road car, it was frequently raced. 3 cars were entred into the 1959 Le Mans, the best car finished 8th onerall and best in it's class. Lotus Elite. Revised supplier of the body shell from Bristol Plastics produced a better quality moulding. There was revised suspension. It was still expensive to produce and canceled in 1962. A Sports races based on the Type 11, but intended to run with larger capacity engines. The body was revised slightly and the was independant rear suspension, incorporating the Chapman strut. There was also an improved 5 speed gearbox. The car featured the Coventry Climax FPF, with engines sizes ranging from 1475cc to 2495cc and 185 bhp. The car was successfully raced in many competitions. Single seat racing car for Formula 1 & Formula 2. This car was an attempt to emmulate the good work Colin Chapman had under taken on the Vanwall in 1956 (The Costin / Chapman developed 1956 Vanwall won the constructers championship in 1956). The car was low and featured a front engined, 62 degree inclined Coventry Climax FPF engine, with engines sizes ranging from 1475cc to 2495cc. The racing car suffered problems with power loss, vibration and engine lubrication. After limited success with the car, Chapman was forced to admit that a rear engined car, design by Cooper, was the way to go and work was started on the type 18. A development of the Eleven, with revised lighter suspension, incorporating MacPhersson strut-type front suspension. The body work was rear designed by Len Terry to be more aerodynamic. The car suffered handling problems and conventional wishbone layout was adopted. A rear engined, single seater Formular Junior racing car. The car had a 995cc Cosworth - Ford 105E engine on a multi tubular spaceframe. 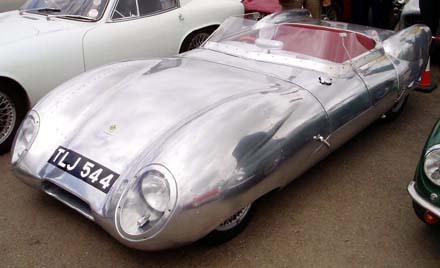 The body was constructed in Fibre glass (Aluminium was used on the Prototype car). The car had a square chassis and the body followed this form, with a square form running it's length, described by some by some Journalists at the time as an "extremely ugly, tank like body." The car was an out right success in it class, winning just about all major races in 1960. 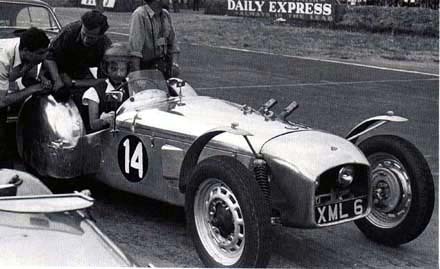 Similar to the Formula Junior car, but with a 2495cc Coventy Climax engine, a 5 speed Lotus gear box (fitted to the Type 15) disc brakes all round, a GRP body. The car made it's mark on the racing scene and established Lotus in F1. The "Lotus Monte Carlo", as it was nick named, the car featured a rear engined Coventry Climax FPF 2495cc, producing 237bhp. The car was made from GRP, with aluminum on the lower side panels. A rear engined, single seater Formular Junior racing car. The car had a 997cc Cosworth - Ford 105E engine and later a 1098cc Cosworth - Ford 109E engine. After the success of the Type 18, Lotus packed virtually the same componenets into a smaller GRP bodied, lower car. The car enjoed great success in it class. A rear engined, single seater Formula 1 racing car. 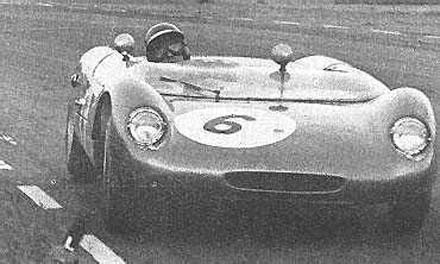 The car had the Coventry Climax FPF 1495cc engine, producing 155bhp and a GRP body. The car was designed to fit a new V8 engine, but the engine was not supplied. The car only won 1 GP at Watkin Glen in the USA. A rear engined, single seater Formular Junior racing car, with a 1097cc Cosworth - Ford 109E engine, with 103bhp. The car was a replacement for the Type 20, with a stiffer chassis, lower rear bodywork and more reclined driving postition. Girling disc brakes were standard front and rear. The last small engine capacity Lotus sports racer. It featured a Cosworth - Ford 109E engine, with 103bhp. The car featured a stiffer space frame chassis and a GRP body. The car sold very well and had much competition success. At the 1962 Le Mans, 2 23's were entered, officials disqualified the car for having 6 studs on the rear wheels. So he changed the rear wheels to 4 studs, but they refused to look at them, saying it would be unsafe with 4 studs. In the face of discrimantion against none domestic teams, Chapman vowed he would never go back to Le Mans. A rear engined, single seater Formula 1 racing car. 1 inch longer in the wheel base, than than the Type 21, with a humped engine cowling and twin protruding exhaust pipes. The car had the 1497cc Coventry Climax FWMV V8 engine, producing 180 bhp. The car was very elegant and was supplied to existing Lotus Customers only. The revolutionary Lotus Type 25 transformed Formula 1 car design. It featured an aluminium monocoque chassis (meaning a single shell chassis), rather than a spaceframe chassis. Chapman had devised the idea on a napkin, after a lunchtime meeting with Mike Costin. The car had the 1497cc Coventry Climax FWMV V8 engine, with 4 twin choke down draught weber DCNL-4 carbureters, producing 200 bhp. In 1963, changes to the car included fuel injection, a lighter monocoque and nose cone air intake ducts. The Type 25 esablished it self as the fastest car in F1, during 1962 and 1963, in the hands of Jim Clark. Lotus Elan S1. Successful 2 seater production sportcars, featuring a backbone chassis, with cross member cradling the engine, gearbox and suspension. The body was designed by Ron Hickman and moulded in GRP, in 2 part form, upper body and lower floor plan and both were bonded together. The car had a 1499cc Lotus - Ford twin-cam engine with 100bhp. The 1964 S2 had an upgraded 1558cc engine producing 105bhp, improved suspension and a polished veneer dashboard. There was a competition version of the Elan, designated the Type 26R from 1964 - 1966, which had wider wheel arches, improved suspension and great power, delivering between 140 - 160bhp. The 26R proved successful in racing competition. A rear engined, single seater Formular Junior racing car, with a Ford Cosworth 109E 1097cc engine, producing 110bhp. It was more compact than the Type 22, which it replaced. The car had a monocoque chassis, with a GRP body. Initally the car was under developed, as the monocoque lacked structural rigidity, however through the year the car was develop and by May of 1963, the GRP body had been replaced with Aluminium body panels, which improved the rigidity. 1963 was the last year that Formula Juniors ran. Lotus Cortina. A successful saloon car designed for Group 2 racing. 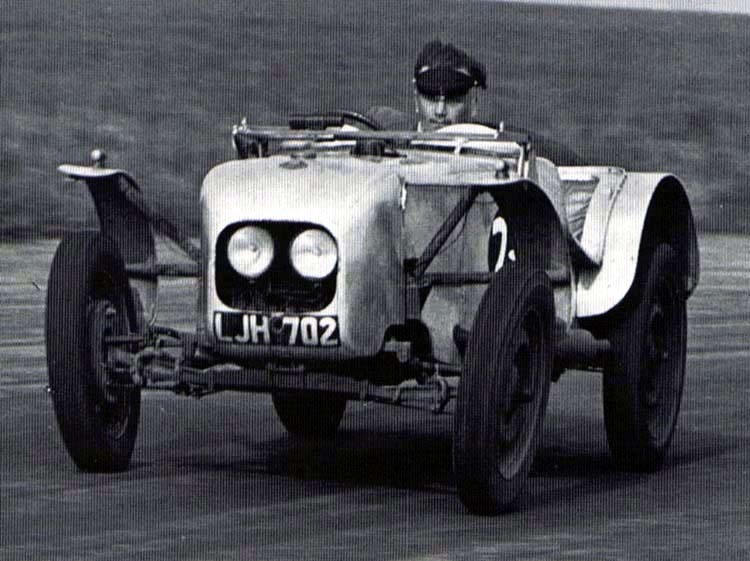 Ford decision to go motor racing (with the GT40) and Lotus's requirment for money produced the Type 28. Mike Costin and Keith Duckworth were brought in to develop the engine, the 1558cc Lotus - Ford Twin - cam with 105bhp. The Cortina was fitted with Lotus suspension, reducing the ride height and Chapman fitted light weight alloy door skins, bonnet and boot lid and quarter bumpers to reduce the cars weight. The car had disc brakes on the front and drum brakes on the rear. The Mk1 was a resounding success on the circuit. 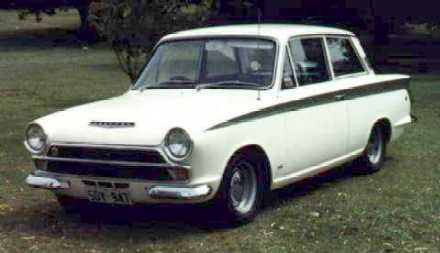 The Mk2 version was released in 1967, featured the Lotus Twin Cam engine, however it was badged "Cortina Twin Cam", instead of Lotus and was assembled at Ford. Production ceased in 1970. A single seater Indianapolis racing car, with a rear mounted, 4195cc Ford Fairlane V8 dry sump, pushrod engine. The Type 29 chassis was similar to the Type 25, however it was dimensionally longer and larger. The car proved successful and was re-entred the following year. A 2 seater sports car for Group 7 American "Big Banger" racing. The car had a Ford 289 Fairlane V8 pushrod engine, producing 350bhp and a ZF 5 speed gearbox. The car had an Elan style, steel backbone chassis with a GRP body. The car had many problems; including a weak chassis, disc breaks (which over heated) and an under powered engine. Due to the weak chassis, the car had handling problems on the track. The Type 30 also had an all-in-one body, that didn't allow adjustment to the suspension. Colin Chapman had intended to base 4 or 5 cars around the Type 30 chassis, with 1600 Twin cam engines. The chassis was fine for that, but not for the powerful Ford V8. The Series 2 car of 1965 was produced to sort out some of the problems, it had a more powerful 5.3 litre Ford V8, vented discs, simpilfed rear suspension, front and rear spoiler and low profile tyres. 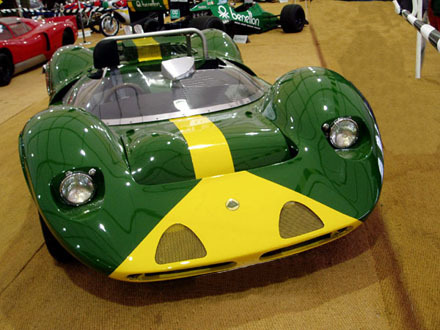 The S2 was generally unsuccessful against Lola, Chaparral, and Mclaren. The Lotus Type 40 was a further attempt to sort out the 30's problems. A rear engined, single seater Formula 3 racing car. A racing car derived for the new Formula 3 championship of 1964. The car ran a Cosworth - Ford 109E engine and was based largely on the Type 22 car, with the same spaceframe chassis and modifications to the suspension. The competition had adopted the new monocoque chassis and the Type 31 struggled against them. A rear engined, single seater Formula 2 and Tasman racing car. In Formula 2 form the car had a 998cc Cosworth - Ford SCA engine. The car featured a monocoque chassis, a developement of the Type 27 car. For 1965, the car was entred into the Australian Tasmin competition and was fitted with a the car Coventry Climax FPF 2495cc engine. The Lotus 33 was a Formula One car, based on the earlier Lotus 25 model, based on a monocoque chassis design. The 33 was powered by the 1495cc Coventry Climax FWMV engine, with 205 bhp. The 33 was almost identical to the 25, but had suspension designed around newer, wider tyres. The car was more rigid and was simpler to build than its predecessor. For the 1965 season, Clark took the 33 to victory in 5 F1 races and second in the world championship. 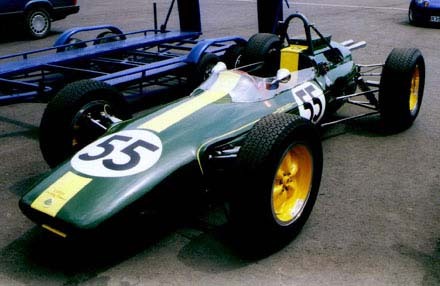 The 33 was also used in for the early races of 1966 Formula 1, (with a larger 2 litre Coventry Climax V8 engine), until the larger engined Lotus 43 was ready. A single seater Indianapolis racing car, with an aluminium monocoque chassis combined with a twin tube "ladder frame" chassis. It had a 425bhp Ford quad cam DOHC V8 engine. However the car had specially made Dunlop tyres, (Ford had recommended high higher compound tyre) and the Dunlops tended to shred over a race with full tanks of fuel. The car was not successful in the 1964 season. A single seater Formula 2, Formula 3 and Tasman racing car. The car was similar to the Type 27 and the Type 32. It had a longer monocoque chassis with fully adjustable suspension. The car had various engines for each Formula; F2 had a Cosworth SCA 1000cc SOHC twin carb engine, with 117bhp, for F3 there was a 1000cc Cosworth MAE engine, for the American Formula B the Lotus had a 1.5 litre twin cam and for the Tasman, it had a 2.5 litre Coventry Climax FPF engine. Jim Clark had success with the car. Lotus Elan S3 Coupe. A more civilised Lotus Elan with a fixed roof and a more refined interior, aimed at a higher market place. The car sold very well and was more popular than the S3 convertible. A 2 seater sports car, based on the Lotus Seven and aimed at the 1965 Clubman Formula racing. The car had a 1498cc Ford Cosworth 116E engine with 120bhp and a strenghened space frame chassis. However, it was costly to make and the project was abandoned. The one car that was made was raced in the Clubman competitions and was successful. The Lotus 38 was the first mid-engined racing car to win the Indianapolis 500, in 1965 by Jim Clark. It was an evolution of the previous Lotus Type 29 and Lotus Type 34 cars, but with an Aluminium monocoque, and was powered by the 4195cc quad-cam Ford V8 fuel injected engine as used in the 34, giving out around 500 bhp. The 38 was specially designed with offset suspension, with the car body situated asymmetrically between the wheels, offset to the left using suspension arms of unequal length. Although in theory this was better suited for the ovals. A single seater Lotus racing car for the Australian Tasman racing series. The car was originally intended as a Formula 1 car and to feature the Coventry Climax flat 16 engine and the car had a truncated aluminum alloy monocoque chassis to fit it. However the engine had many problems and the engine project was abandoned. So it was decided that the car should be use for the Tasman series instead and should run the Coventry Climax FPF 2495cc engine. The car was renamed the 39B for the Tasman series and raced by Jim Clark and finished 3rd in the series. The Lotus 40 was an attempt to sort out some of the problems with the Lotus 30. It had a Ford 5295cc and then a Ford 5754cc V8 engine producing between 400 and 450bhp, with a Hewland LG500 transmission. The chassis was stiffened (from the 30) and a front and rear spoiler. However the car was still as difficult to drive as the Type 30, it was known as the "Lotus 30, with 10 more mistakes.". It best result was in the West Coast series in America. Jim Clark took the Type 40 to second place at Riverside in 1966, behind Hap Sharp's Chaparral. The Lotus 41 was a Lotus Formula 3 and Formula 2 racing car which ran between 1966 - 1968. John Joyce, Bowin Cars founder, was the Lotus chief designer and was assisted by Dave Baldwin. They started with a clean sheet of paper. The most notable feature of the new design was the extensive use of stressed steel panels in the bulkheads, welded steel around the footwell and the instrument panel, a welded sheet of steel surrounding the driver's shoulder, and a double-sided steel cradle surrounding the gearbox. Floors were also welded for additional stiffness. Another clever design feature of the Type 41 was the use of a rear bulkhead as an oil overflow collector. Even the front oil tank had its overflow routed through a labyrinthine path using chassis tubes all the way to the back. The Lotus 42 was an Indianapolis racing car for the 1966 season. It was development of the succesful Type 38 car. The aluminium monoque chassis was designed around the proposed 4.2 litre flat 16 BRM H16 engine with 650bhp. The car had problems when tested at Snetterton. So for the 1966 season, the Type 38 was used with great success. 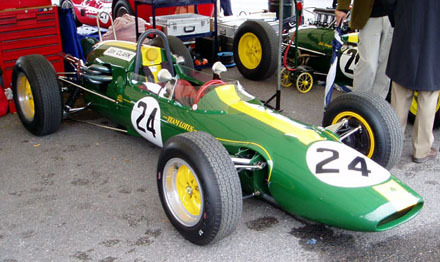 The Lotus 42F was an attempt to make the 42 successful for the 1967 season. It had a revised chassis and different engine; the Ford Quad cam V8. The second car, raced by Graham Hill, suffered engine problems and development of the Type 42 was halted. The Lotus 43 was a Formula 1 racing car for the 1966 season. 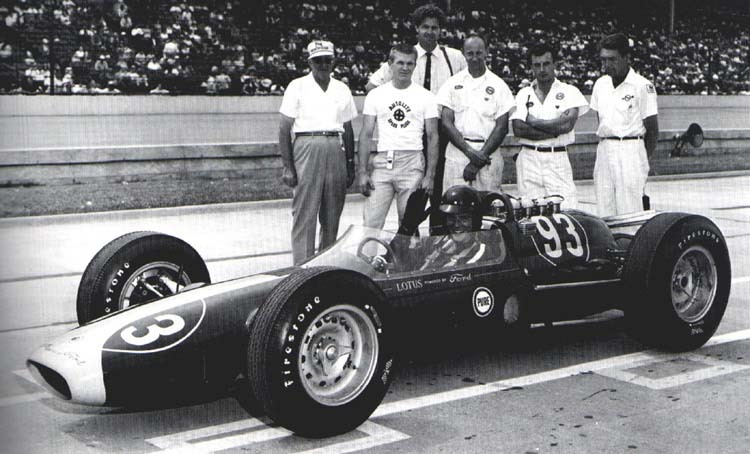 It was partially based on the Lotus 38 Indianapolis car. The car was designed in this way in response to new regulations which came into force in 1966, which increased the engine capacity to 3 litres. Along with newer, wider tyres better able to handle the power of the larger engines, the need for a more robust design was obvious. Chapman and Lotus made a deal for use of BRM's new H 16 engine as well as using the new tyres. The engine proved to be overweight, unreliable and lcked power. Jim Clark, in the Type 43 won only one race in the 1966 Formula 1 season, at the American Grand Prix at Watkins Glen. The Lotus 44 was a single seater Formula 2 car. It was development of the Type 35 car, with a full monocoque chassis, with wider suspension and the Type 41 nose and tail. The car had the 997cc Cosworth SCA engine. 1966 was the last year for the 1 litre Formula 2 championship. The Lotus Elan S3 & S4 convertible. As with the fixed head Type 36, the 1965 Type 45 was an attempt to refine the Elan, aiming the car at a higher market place. The car had the 1558cc Lotus Ford Twin cam engine. The 1968 - 1973 S4 had squared-off wheel arches, larger rear light units, a bonnet bulge for the carburettors and revised dash board (with rocker switches). 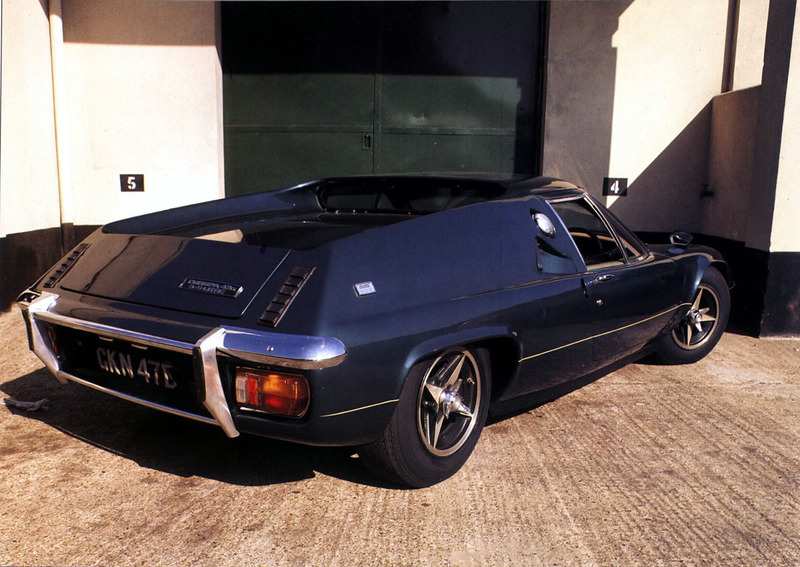 The Lotus Europa. The was the Lotus marketed at Europe. It featured the new mid engined layout. The chassis was based on the Y shaped chassis of the Elans. The engine was supplied by Renault, the 1470cc Renault 16 engine, producing 78 bhp. The S1 Europa's grp body, designed by John Frayling, was bonded to the chassis for strength. Although the car's "bread van" styling was criticised, the car's handling was highly regarded. The Lotus Europa competition car. The car had the Ford Cosworth 13C Twin Cam dohc 1594cc engine (producing 165bhp), with a Hewland FT200 transmision fitted on a light weight fold steel Y shaped chassis (similar to the Type 46 Europa chassis). The body work was lighter than the Europa's and bonded to the chassis. The car was successfully driven by John Miles and Jackie Oliver in the 1967 World Sportcar Championship 500, plus winning 17 championship events. In 1968, the 47A was developed, with the chassis was strengthened and the body work was nolonger bonded, although the car ran against much larger engined cars, the 47A set 10 new circuit records. There was 47F made with Cortina engines and the famous one off GKN 47D, with a Rover 4.4 litre V8 engine, producing 292bhp and a top speed on 180mph. The Lotus 48 was a Formula 2 single seater racing car. It featured the 1599cc Ford Cosworth FVA dohc producing 220bhp fitted to a Hewland FT200 transmission. The car had a full monocoque chassis with a space frame rear chassis supporting the engine. The car was successful in the 1967 season with 5 wins. The Lotus 49 was a very successful Formula 1 racing car, designed for the 1967 season. It featured the then new Ford Cosworth DFV (Double Four Valve) 2995cc V8 engine, specially developed for Lotus. The 49 was a revolution in Formula 1 because of its then-unique configuration (seen first with the H16 engine in the Lotus 43 and BRM P83) as the engine acted as a chassis member. 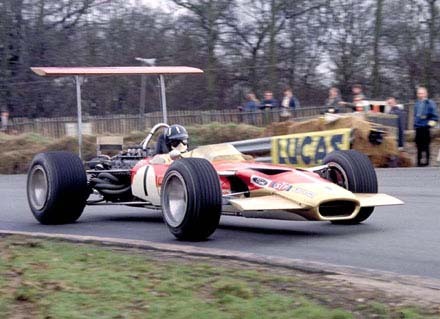 The Lotus 49 was one of the first F1 cars to use wings (Chaparrel had used them first in the Can Am series), which appeared partway through 1968. Originally these wings were bolted directly to the suspension and were supported by slender struts, however after several breakages which led to near fatal accidents, the high wings were banned and Lotus was forced to mount the wings directly to the bodywork. Both Jim Clark and Graham hill drove the 49 in the 1967 F1 season. Graham Hill found the 49 easy to drive and responsive, but the power of the Ford difficult to handle at first. The V8 would give sudden bursts of power that Hill had reservations about. However, Jim Clark won its debut race at Zandvoort with ease and took another 3 wins during the season, but early unreliability with the DFV ended his championship hopes. It was felt that 1968 would be a better year after Cosworth perfected the design, and it was obvious the DFV and the design of the Lotus 49 was the way forwards. Clark won the first race of the 1968 season, the South African Grand Prix and the Tasman Series in Australia, but was tragically killed in an F2 race at Hockenheim. Graham Hill took over as team leader and won his second World Championship title, repeating his 1968 win at Monaco. The 49 also took Jochen Rindt to his first victory in 1969 at Watkins Glen, New York, before he drove the type to its last win in the 1970 Monaco Grand Prix. The 49 was intended to be replaced by the Lotus 63 midway through 1969, but when that car proved to be a failure, the 49 was pressed into service until a suitable car could be built. The 49 took 12 wins, contributed to 2 driver and constructors' world championships, before it was replaced by the Lotus 72 during 1970. 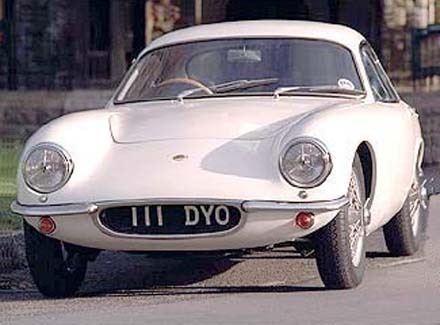 The Lotus Elan + 2. A 4 seater sports car. Ron Hickman started design work on the Type 50 as early as 1963, and by 1964 Lotus had produced a scale model, known as the M20. A full size working prototype was registered for the road 1966 (NRO 119D), called the Metier II Prototype. The car was launched in September 1967 and was marketed as a sophisticated family sports car. The production car had a 1558cc Lotus Ford Twin Cam engine producing 118bhp and a 4 speed transmission supported on a Y fork frame chassis. The Lotus had a grp body a pop up lights, improving the car's aerodynamics. In 1968 a luxury +2S was launched and in February 1971 the +2S 130 was launched, featuring a 126bhp Big Valve Twin cam engine producing 126bhp. In October 1972 the +2S 130/5 was fitted with a 5 speed gearbox. A single seater Formula Ford racing car. In 1967 a new Formula was created, Formula Ford, intended for "up and coming" racing Drivers. Lotus used the old Type 22 /Type 31 space frame and fitted the 1500cc Ford Cortina GT Pushrod engine to the car. The car was later fitted with a 1599cc engine. A one off prototype for the Lotus Europa Twin Cam. Sports car intended to be built by Lotus Components. Was never made. The Lotus Europa S2 was introduced in April 1968. It used the same Renault engine as the Type 46, but offered a number of refinements, including electric windows, fully adjustable seats, a new interior, and a polished wooden facia for the dashboard. Lotus switched to bolt fasteners to connect the body work to the chassis, rather than resin bonding. A small number of Type 54s were modified to Federal specification. The Formula 3 Prototype racing car. It was designated the Type 55 (41X) and the body work was designed in a wedge shape. The car had a 997cc Holbay Ford 4 cylinder engine, with a Hewland Mk4 transmission. The Lotus 56 was a single seater racing car, designed and built to compete in the 1968 Indianapolis 500. The car had a Pratt & Whitney STN6B-74 PT6 turbine powered engine, on a ladder framed monocoque chassis. 3 Lotus 56s made and were driven by Joe Leonard in the numbert 60 car, Art Pollard in the number 20 and Graham Hill in the number 70. Leonard in the number 60 was the fast qualifier at 171.559 mph and dominated the race but dropped out while leading on lap 191 with fuel pump driveshaft failure. A 56B car was made in an attempt to rectify the problem of the Type 56. The car had a revised bolbous wedge shaped body work, to accommodate larger fuel tanks and the Pratt & Whitney STN6-74 PT6 turboprop engine. The car was competatively unsuccessful. A Lotus 57 (for Formula 1) and Lotus 58 (For Formula 2) was built around the same monocoque chassis. The car was initally run as the Type 58 car, with a Ford FVA and tested by Graham Hill. However, with a lack of enthusiasm for F2 with in Lotus, the project was dropped. Later in the year, the Chassis was completely rebuilt as a Prototype F1 car, confusingly designated a lower number, Type 57. The car was fitted with a 2.5 litre Ford DFW engine. The Prototype was never developed. A single seater F2 and F3 racing car. The car had a Holbay Ford R68 997cc engine, producing 117bhp, with a GRP body and supported on a tubular spaceframe chassis. The car was destinguishable by it's front "snout" nosed design. The car had much success competitively, winning the F3 championship. For F2 the car had wings either side of the nose and a rear wing, however was not a succesful.